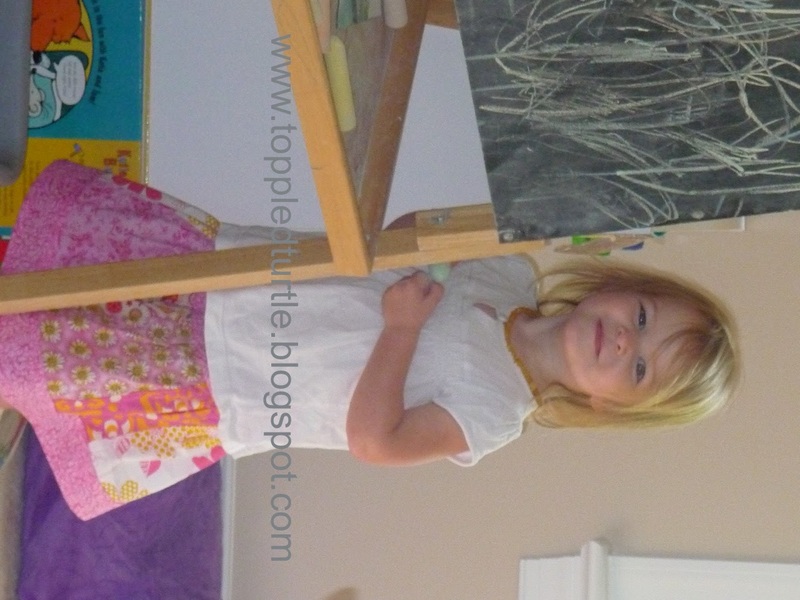 I was out with the family this past week and saw a little girl wearing the cutest little skirt. I fell in love and knew I needed to make some for my girls. 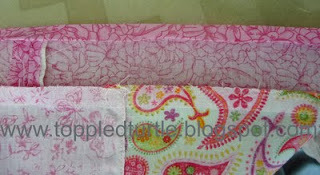 We immediately ran across the street to the fabric store, picked out some fabric. 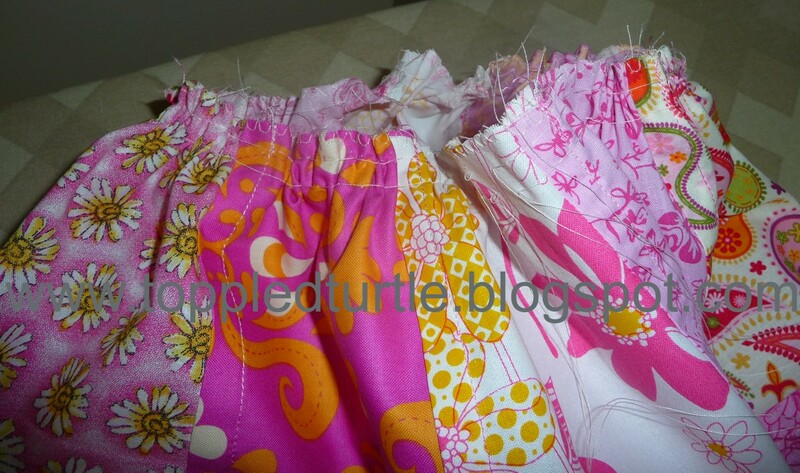 A little planning and a couple of naptimes later, each of my girls have their own panel skirt for the summer. I am extremely pleased with the way these came out and hope you enjoy making one for your own little love. 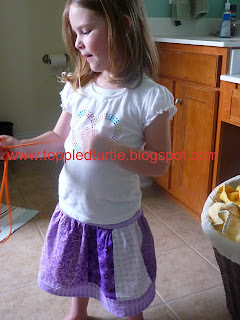 Below, you will find a picture tutorial for this skirt. Warning, its very picture heavy. I made it in toddler size 2-3 and 4-5 and have included the cut measurements below. 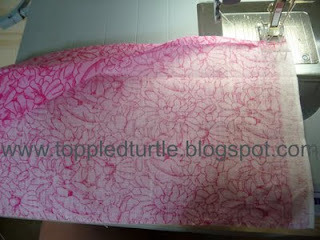 Disclaimer: This pattern/tutorial is being presented for personal use only. 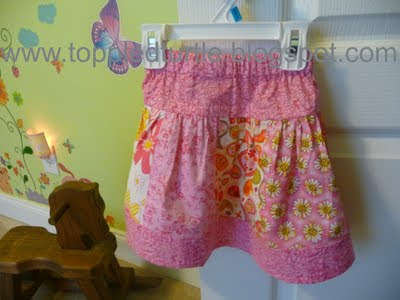 A lot of time and effort went into planning and creating these skirts and this tutorial. Please be respectful and do not utilize this tutorial to make items for sale. Thank you. 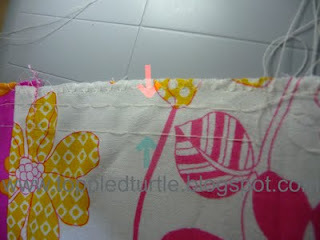 You may have to piece to sections of fabric together to get the length required for the bottom trim. If so, sew the pieces together first, then press the seam open, and then overlock the raw edges. This will ensure that the seam is sewn into the garment pressed open, which will reduce bulk. 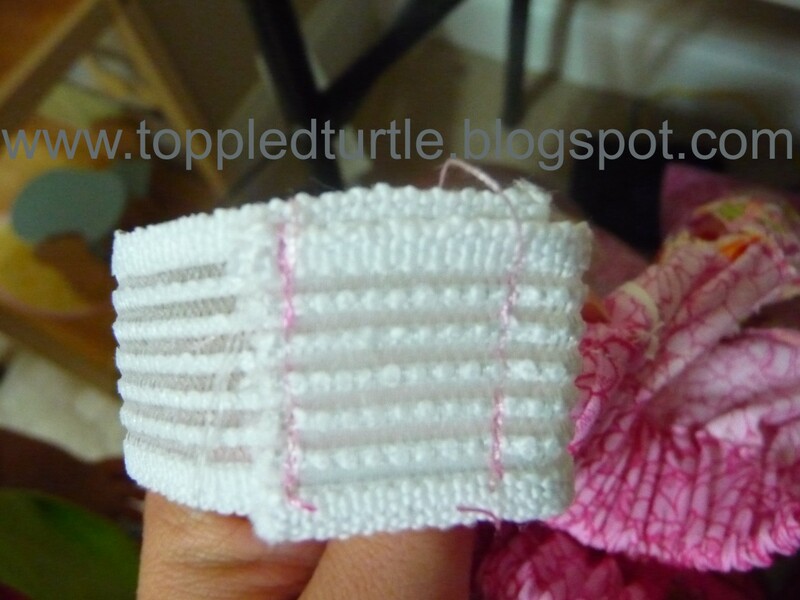 With the right sides of the fabric facing each other, sew all of the strips of Fabrics B-F together using a 1/2 inch seam allowance to form one long strip of fabric. Then join the two ends of the long strip of fabric together to form a loop. Press all of the seams down, ensuring that they all face the same direction. (You are not pressing the seams open for this step.) 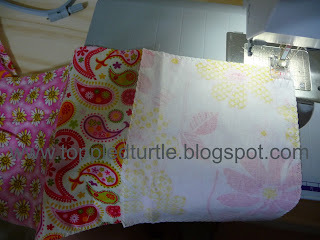 Set this aside and move onto the yoke/waistband. 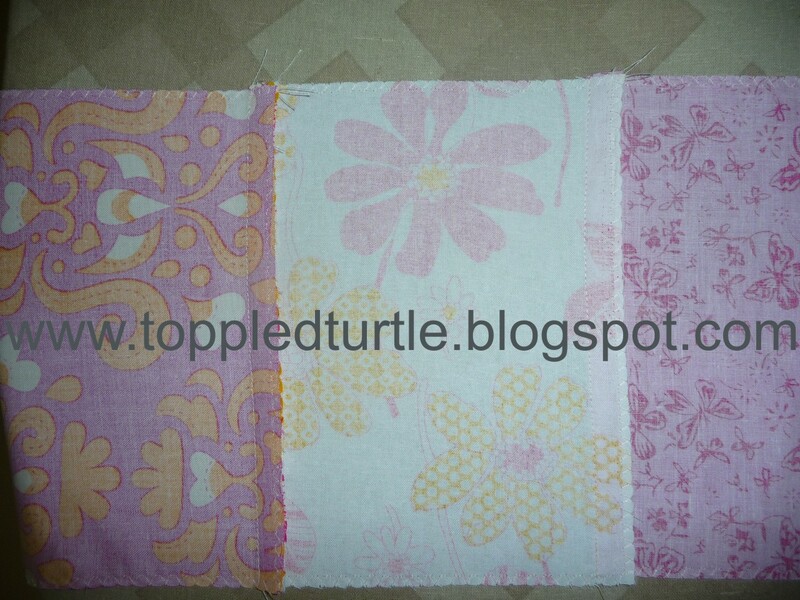 Fold down approx 1/4 inch of the top edge and press. 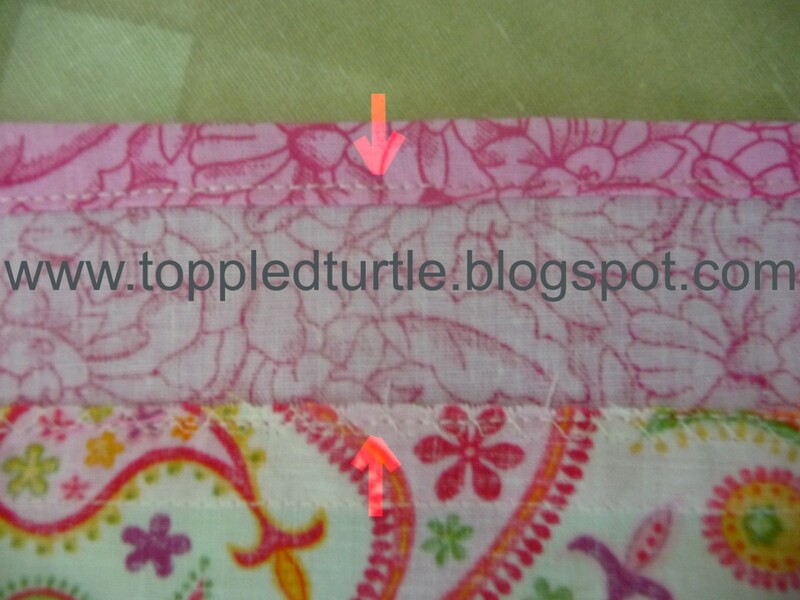 Fold down approx 1.25 inches, encasing the above .25 inch in between the right and wrong sides of the waistband. This will be the casing for your elastic, so hold up the elastic to be sure you're not undersizing your casing. 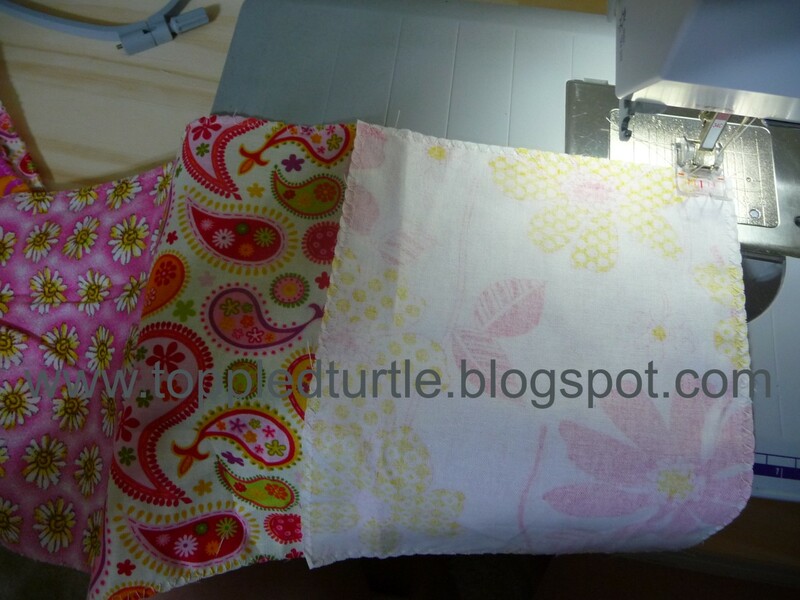 Let's head back to the sewing machine. Gently unfold the 1.25" casing and sew together the two ends of the yoke/waistband to form a loop. 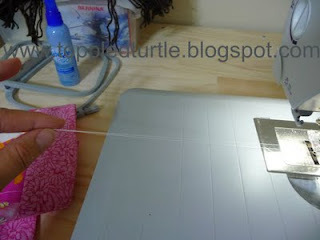 (You CAN do this step before pressing down the casing for the elastic, but I find it easier to do it in the order presented - just a matter of personal preference). 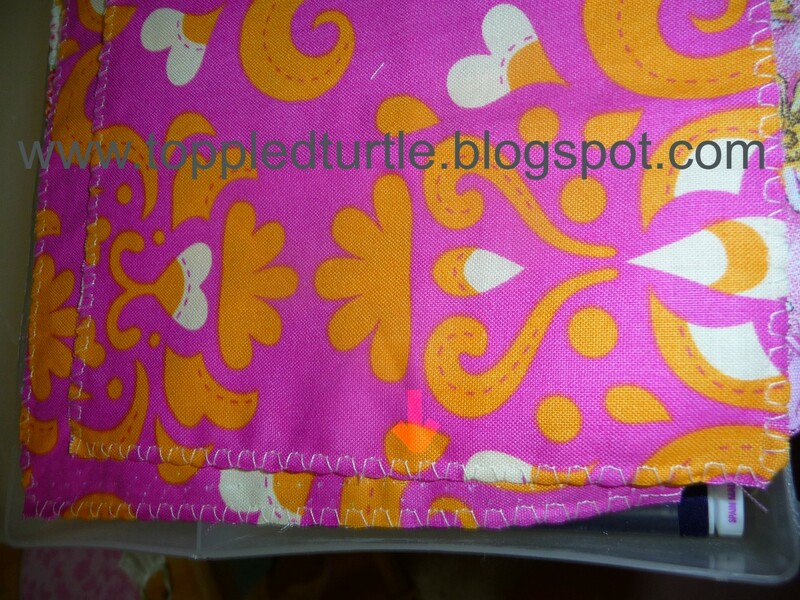 Sewing closely to the edge of the casing fold (so you can catch that 1/4 fold underneath), sew the casing down, but leave about 1 -1.5 inches unsewn. This is where you will feed the elastic, when the time comes. Here's our cute little opening into which we will feed our elastic. 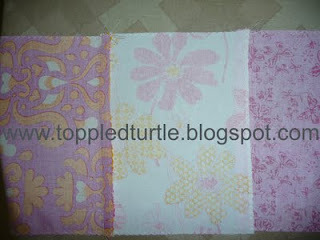 Ok, now all of our pieces are almost ready to go (the yoke/waistband, the center strips of fabric, and the bottom trim). 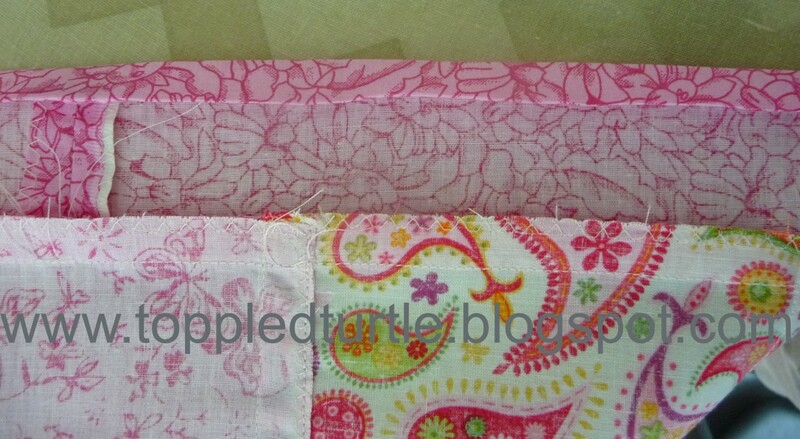 Now let's move back to our stripped piece and work on tacking down all of those seams. Now we are going to topstich the seams down. 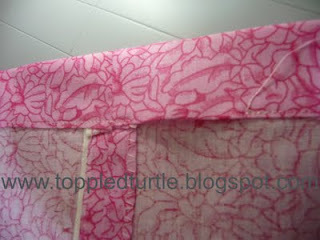 This serves 2 purposed: to keep the edges from ravelling and to preserve the integrity of the seam after washing. 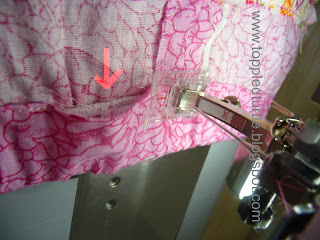 (You *can* skip this step, but you'll find all of the seams will be pointing in every which direction after a couple of washes. 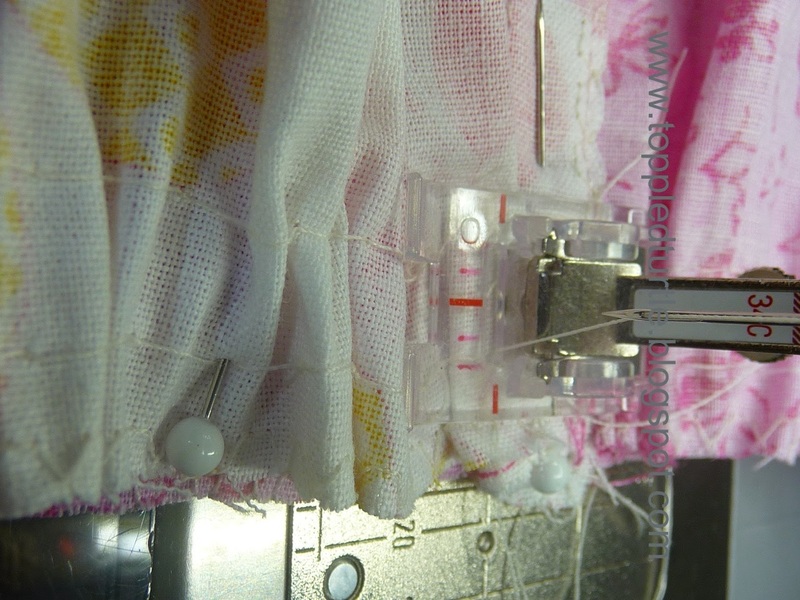 While it doesn't affect the function of the skirt, it makes for an untidy and unprofessional finish.) 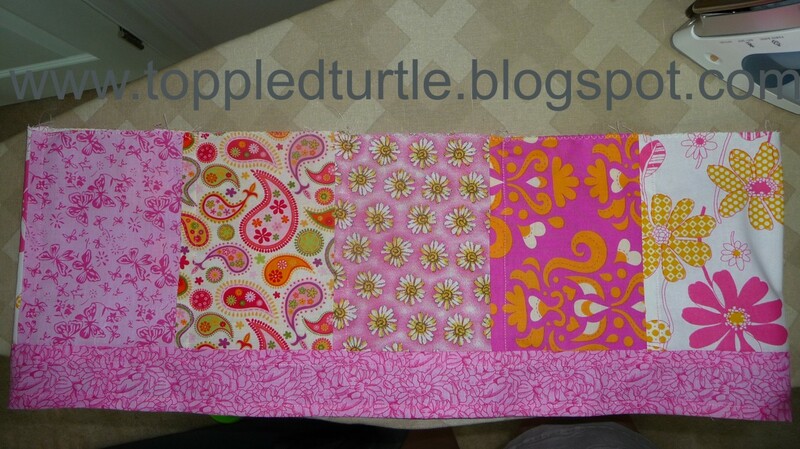 Oh, and sorry for the orientation of this photo...blogger is not playing nice with this pic. 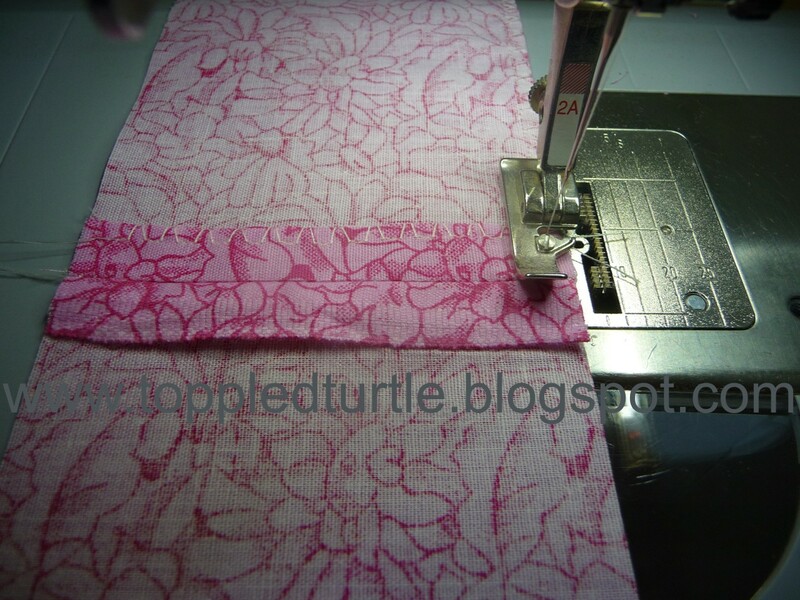 Here is what it'll look like for the wring side after you've topstitched down the seams. 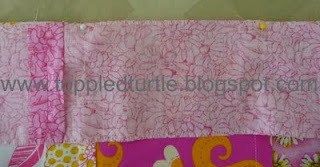 The stitch line on the left is from piecing the skirt together and will not show on the front of the skirt. 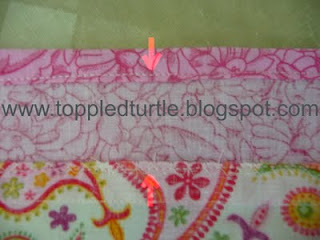 The stitch line on the right is from topstitching the seam down and WILL show on the front of the skirt. Now its time to take the bottom trim and pieced section of the skirt and line up the edges (with the right sides of the fabric facing). Now that their lined up, pin them together. No seriously, PIN them. 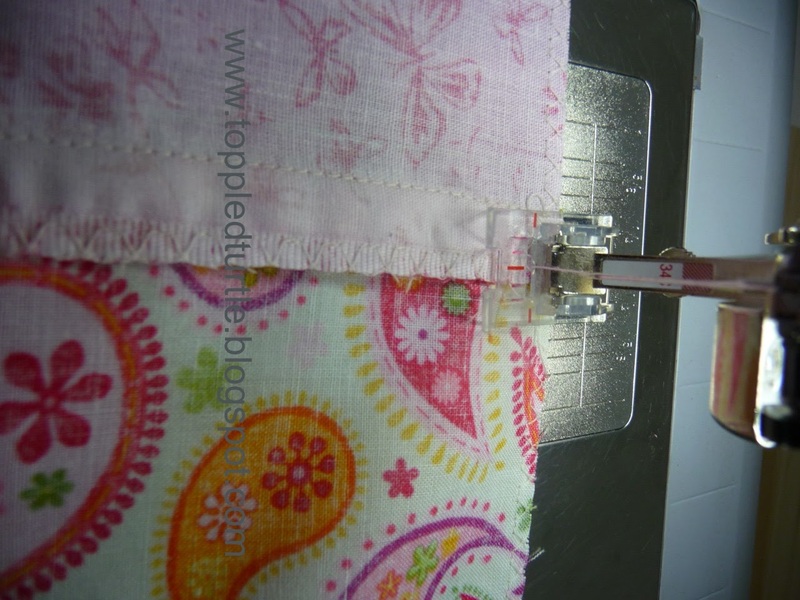 I'm generally the one to skip the pinning, but it will make your life a lot easier to have it pinned before you try to sew it together. Go ahead and sew it together. Press the seam down toward the bottom trim. Then, press approx 1/4 and then another 1/4 down on the bottom edge of the trim (using the same method we did with the casing for the elastic). Look at what you've accomplished!! YAY!! Ok, now, if there *is* a "hard part" to this skirt, we're about to tackle it. Its reall not all that hard, but does require a wee bit more patience than the rest of the skirt. 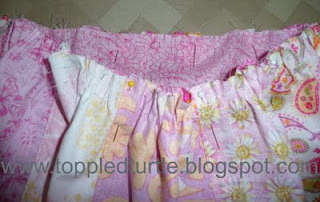 At this point, you will notice that the main part of the skirt is significantly wider than the yoke/waistband. 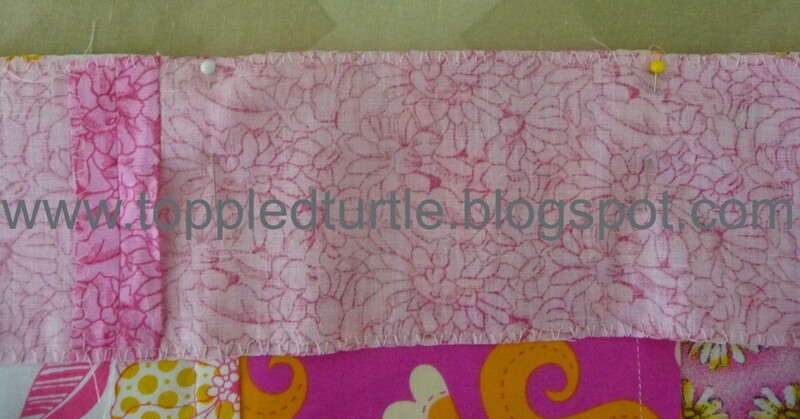 This difference will give the skirt that flowy look that's important to every little princess out there. So, let's get ready to gather the top of the skirt to bring it into the same measurement of the yoke. You can do this my hand, but my motto is "why do it by hand, when I can do it in less time on the machine". 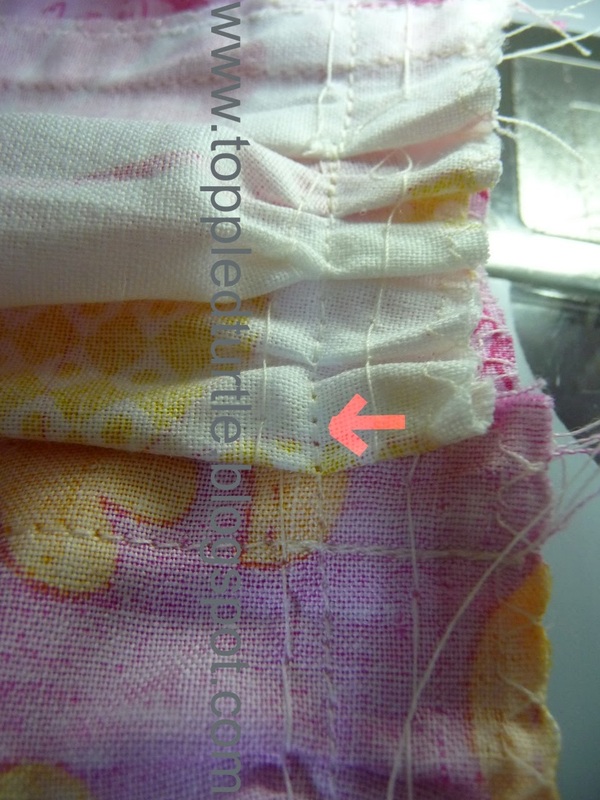 So, start with pulling out at least 3 inches of thread (both upper and lower). 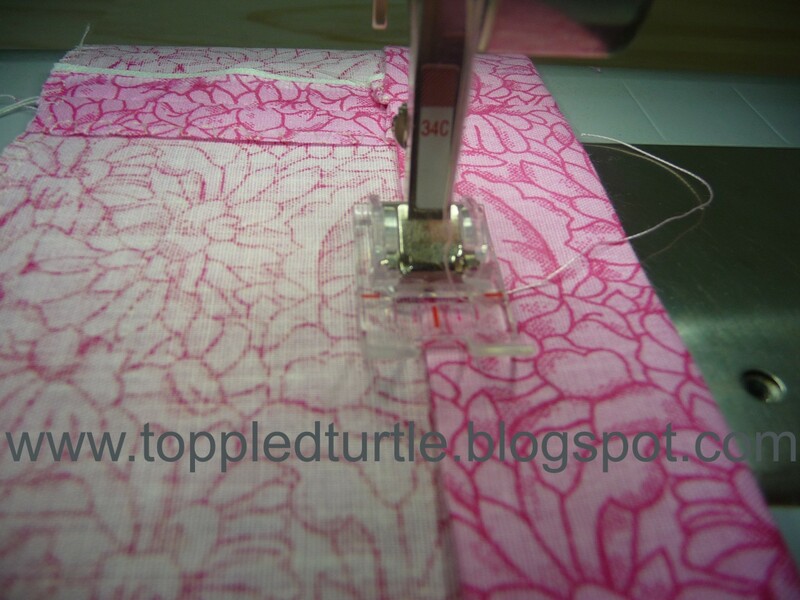 Set your machine to the longest straight stitch possible. We only want to baste here, not actually sew it for keeps. Baste the top edge of the skirt at 1/4 in and 5/8 from the top edge (this is assuming you are using my 1/2 inch seam allowance. 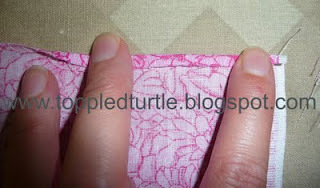 If not, then sew 1/8" on either side of where your seam allowance will be). Here's what it looks like with both lines basted. 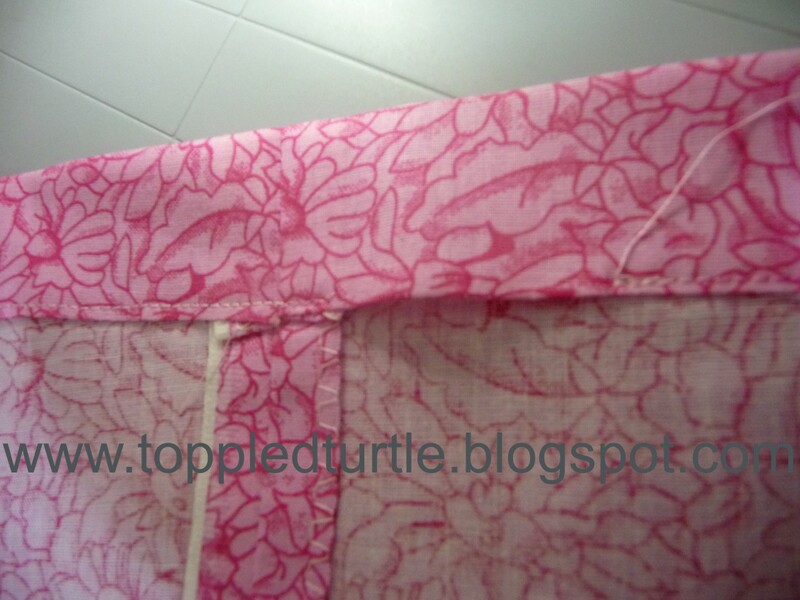 Now, pull the thread to roughly gather the top edge of the skirt. Try to ensure the gathering is fairly even across the entire skirt. Line up the top edge of the skirt with the bottom edge of the yoke, adjust the gathering as needed, and pin the right sides together. If you didn't heed my advice last time and skipped the pinning, then at least heed my advie this time. 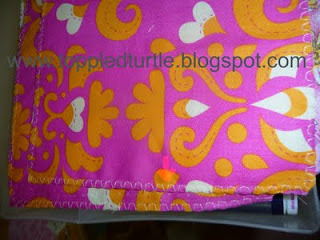 The pin not only serve to keep the two edges aligned, they will help ensure the gathering remains even. 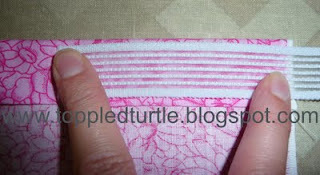 Here you can see your seam line in between the basting lines. Now, you can pull those basting stitches out. I tend to leave the basitng line that won't show and only pull out the one that will. If you're not sure which one that is, turn your skirt right side out and you'll immediately see which one needs to come out. 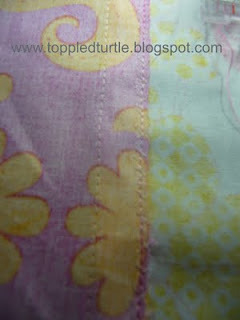 Go ahead and press and top stitch the seam down (pointed up toward the waistband). 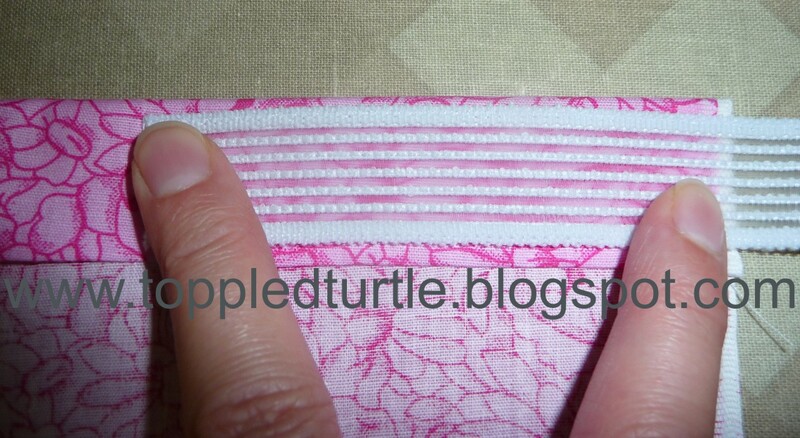 Put a safety pin onto the edge of the elastic and feed it through that opening you left earlier. 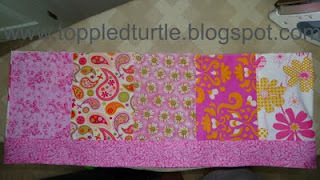 Bring the two ends together and overlap by approx 1 inch. 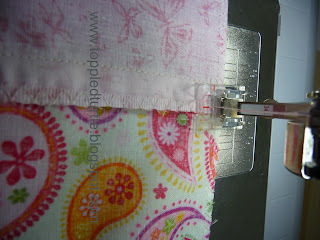 Sew a line down on each side of the overlap. You really want this to be secure! You've done it!! Step back and admire your hard work! !